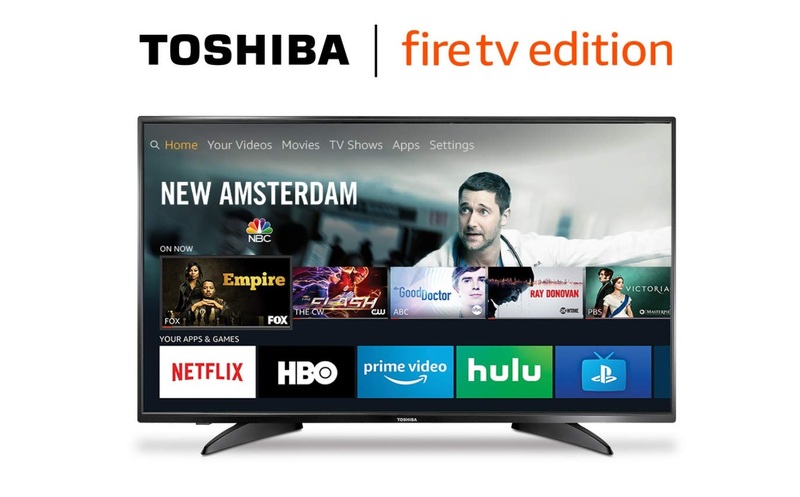 Amazon is currently selling the Toshiba 43" 1080p Fire TV for $230. 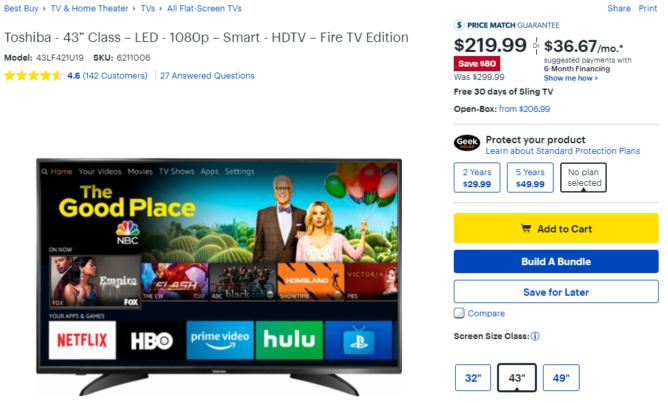 This television launched at $300 and the lowest it went during Black Friday was $240, making this an even better deal (if only by $10). If you prefer talking to Alexa to fumbling with a remote, this may be a good bedroom television to consider. The retailer also has the smaller 32" 720p edition at $150, if staring at pixels is your thing. The Fire TV Edition televisions launched so far have seen middling reactions, with Element having a line of them as well. Between regular Fire TV dongles, the Echo-Fire TV Hybrid that is the Fire TV Cube, and Fire TV Edition televisions Amazon is intent on having a spot in your living room. If their spat with Google ever ends they may even have usable YouTube on them one day. Time was, you wanted the best holiday-season deals, you shopped on Black Friday. And while we certainly saw more than our fair share of big sales this year, there's been a surprising number of even-more-attractive offers trickling out in the weeks following the big shopping day. Not only did this Toshiba set come down $10 from its Black Friday pricing, but it's once again dropping lower and lower, hitting just under $220 at Best Buy and Amazon. Will it keep going all the way down to $200? It's a possibility, but you've got to pull the trigger on this one sooner or later, and $220 is as good a price as any. Is it time to put some of that Christmas cash to good use?